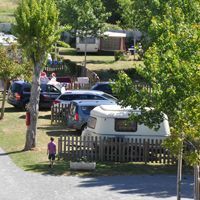 Camping friends, welcome to the Domaine des Salins in Saint Hilaire de Riez! Here you’ll find a campsite where we love campers - and it’s true! 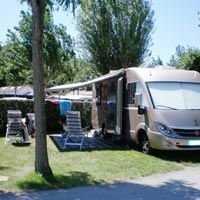 With 35 campsite pitches, all well set apart and semi-shaded, we know how to welcome you and bring you all the best in a camping holiday: friendliness, comfort, respect and a good mood! Friendliness, because all the pitches are located in a single area. You won’t find yourself in the middle of the mobile homes! So you’ll have plenty of chances to meet people and enjoy life on the campsite to the full. Comfort, thanks to the size of the pitches - from 85 to 105 m². You won’t feel cramped on our grassy, tree-lined areas. 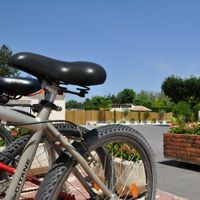 Comfort is also provided by our brand-new sanitary facilities, with all the latest services: spacious shower cabins, family cabins, a baby area and a practical launderette. Respect - a big plus that comes above all from our regular clientele! A good mood, sharing, all the happiness of camping, but also the respect for other people’s sleeping time, this is what is most important to us. And now it’s up to you! Do you prefer a caravan? A camper van? A tent?